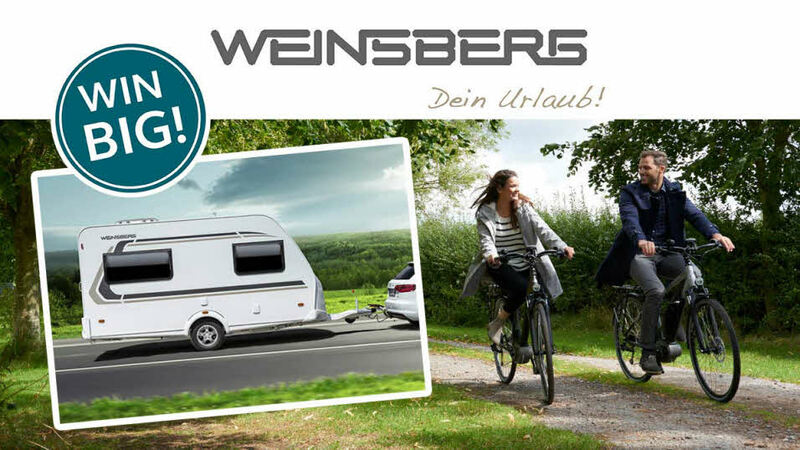 Win big and explore the great outdoors with the Caravan and Motorhome Club in partnership with Weinsberg, a member of the Knaus Tabbert Family. *Subject to underwriting and the Club’s acceptance of the risk. A copy of the cover wording, including benefits and exclusions, is available on request. Caravan and Motorhome Club is a trading name of The Caravan Club Limited. The Caravan Club Limited is authorised and regulated by the Financial Conduct Authority. As part of entering into the Caravan and Motorhome Club’s 2018 Win a Weinsberg CaraOne 400 LK caravan, we’ll be collecting your personal data. This is so that we can contact you if you’re the lucky winner. To bring you this competition, we’re working with selected partners. By choosing any of the boxes below, you’ll give consent for us to share your personal data with that selected partner to receive their digital newsletter. Competition stays open to entries until 28 Feb 2019.